Egypt will focus its attentions on other Red Sea resorts with a large-scale return for UK tourists to Sharm El Sheikh in the near future looking increasingly unlikely. 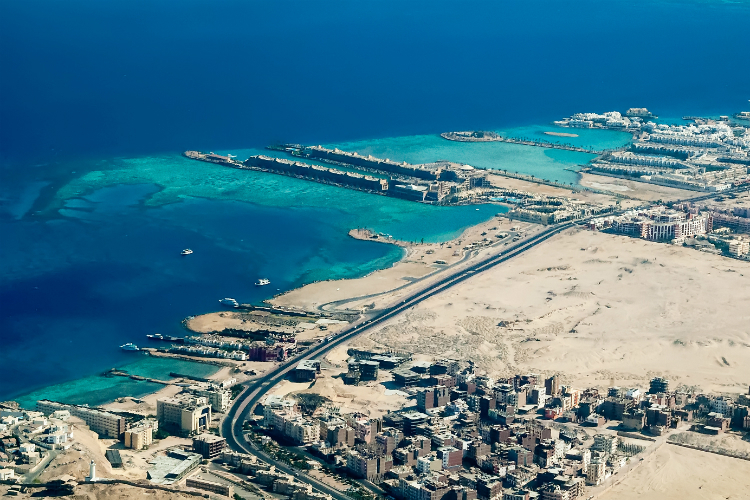 Hurghada, Marsa Alam and Luxor will spearhead Egypt’s tourism offering in the UK, with the country’s tourist board keen to promote Hurghada as an alternative to Sharm. UK flights to Sharm have been suspended since Russian Metrojet Flight 9268 came down shortly after take off in October 2015. All 224 people on board were killed. Russia recently resumed flights to Cairo but is yet to return to Sharm. Egypt has said Russia’s decision sent a "very positive message" to the UK government. However, the government’s stance remains the UK “continues to work closely with the Egyptian authorities on security arrangements” and “keeps aviation security under constant review”. On Tuesday (March 20), the Egyptian State Tourist Authority (ESTA) set out its vision for UK tourism to Egypt in 2018 and beyond, including “raising awareness of Hurghada as a state-of-the-art beach destination catering for all the needs of sun and see tourists”. UK arrivals in Egypt were up 38.1% on 2016 to 319,000 in 2017 and are up 39.1% (61,481) to the end of February this year. “Our strategy in the UK is to focus on Hurghada,” said ESTA director UK and Ireland Amr El Ezabi. “It can replace Sharm no problem. Sharm is Egypt for many people in the UK - we will try to do this with Hurghada and Marsa Alam." El Ezabi said flights to Egypt would increase 38% from 18 to 25 a week for summer 2018, and he said there was capacity for more flights to Luxor too. Other developments include St Regis opening its first hotel in Egypt with Waldorf Astoria to follow next year while Marriott has also made new acquisitions in the country. Elsewhere, the long-awaited Grand Egyptian Museum is expected to partially open in December. Egypt’s new campaign, which will launch in earnest next month, will primarily showcase Hurghada, its markets, nightlight, marinas, resorts, restaurants and beaches, as well as the quieter, more secluded bay resorts of El Gouna, Sahl Hashish and Makadi Bay - popular with snorkelers and divers. Burgeoning Marsa Alam, just a couple of hours from Luxor, will also feature, boasting new accommodation and direct UK flights. El Ezabi, who believes Hurghada has capacity to double its British market, stressed this was not the end of the UK’s relationship with Sharm: “Sharm is open to other markets,” he said. “But the transit [through Cairo] is just not practical for UK families." Before the Metrojet tragedy, Russia and the UK were Egypt’s main source of inbound tourists. El Ezabi revealed four times as many people now travel to Egypt from Germany than the UK, the country long having promoted Hurghada as a destination. “I used to push our directors in London to sell Hurghada," said El Ezabi. "But they said why should they if Sharm was working well. Now we discover why we should have done it a while ago. It’s my fault I didn’t push it harder before. “Hurghada has picked up very quickly, it is gaining the confidence of British tourists.